They planned ahead and they planned right. They came from all over. Many narrowly escaped the sub-zero temperatures of their hometowns and every one was somehow able to put a temporary hold on all the trials and tribulations of their typical workweek and head for old Mexico to attend a festival trying to encapsulate an ideal world within a song. 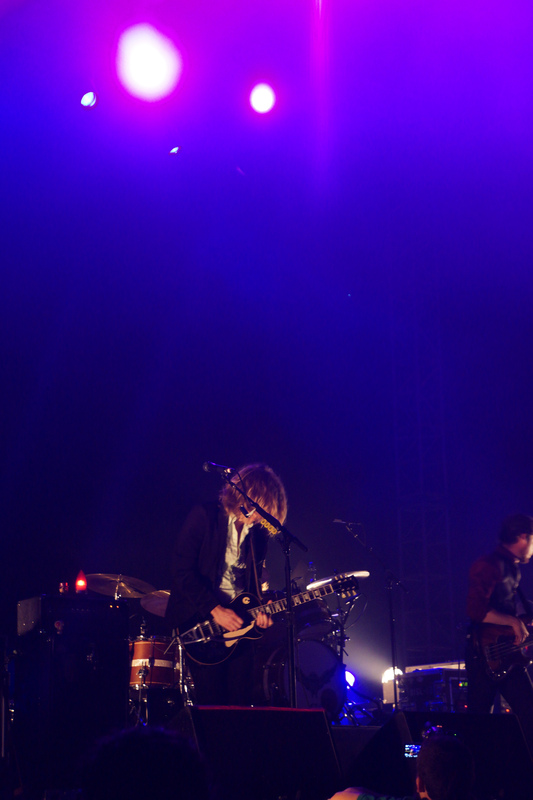 This was My Morning Jacket’s “One Big Holiday”. 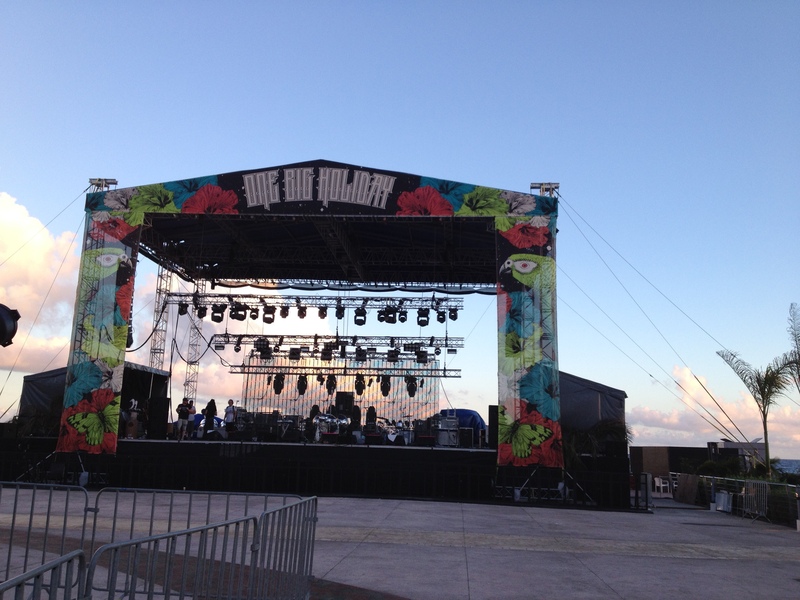 Many months in the making, the newly unveiled Hard Rock Hotel on the Mayan Riviera played host to a four-day fiesta curated by MMJ. 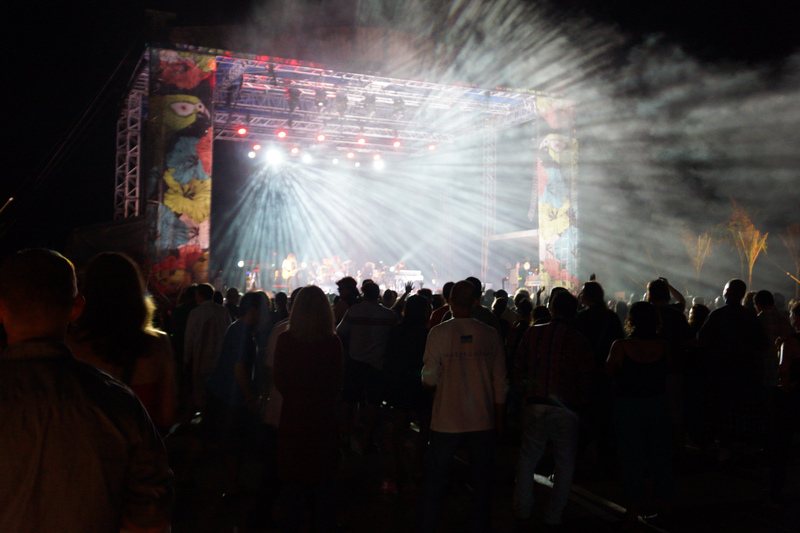 A rock and roll destination vacation for the adventurous, the all-inclusive stay-and-play festival was exclusive only to those who had booked the total experience. You could come and go as you pleased, but no one from the outside was allowed entry. A strange and magical trip indeed, the Hard Rock seemed like a well-guarded fortress for great music. 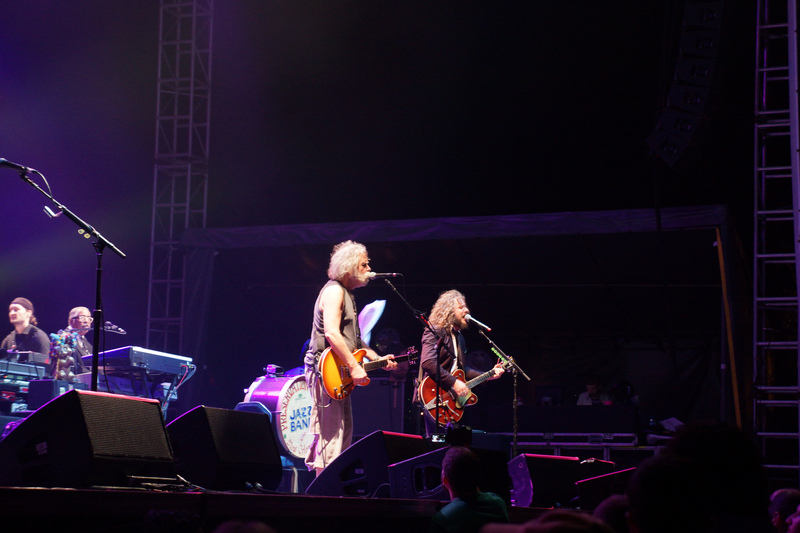 The event began on Sunday, and while My Morning Jacket was the only band scheduled to play that day, it didn’t mean the evening would be light on entertainment. Tearing through two sets totaling 2.5 hours, the show marked the band’s first show of the year and their first performance since Neil Young’s Bridge School benefit back in October. Suspense built as the crowd gathered, and the dream became a reality as My Morning Jacket opened with the summoning song “Circuital”. Jim James took stage wearing south-of-the-border garb looking like some sort of Peruvian mystic. 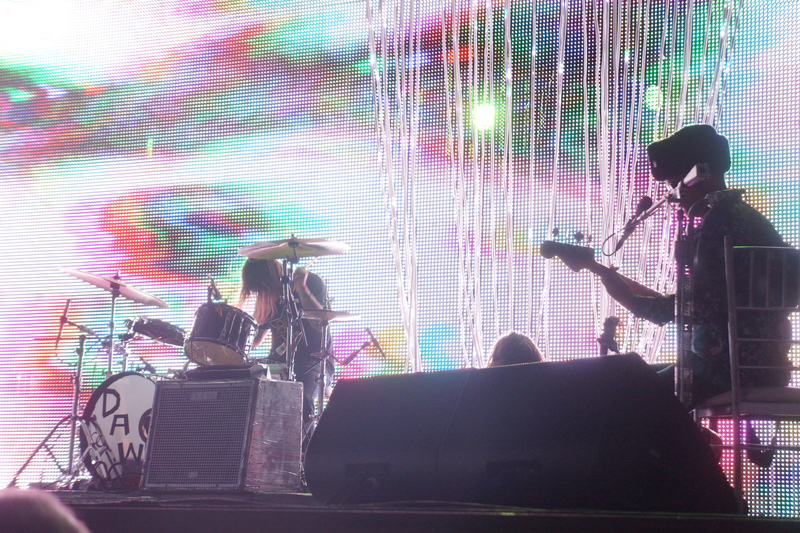 Stars filled the sky as the breeze from the ocean blew the band’s long hair horizontal like some sort of wind machine. “First Light”, another song from Circuital transitioned into the much older and now classic, ‘The Way That He Sings’ followed by a stellar and strange early-set cover of Bruce Springsteen’s “Hungry Heart”. “Heartbreakin’ Man” and “Evelyn Is Not Real” gave fans a sweet taste from the debut record while “Masterplan” was re-worked with a sinister alternate beginning. The epic “Steam Engine” ended with a comedown of shimmering keys and the drum blasts of “Smoking from Shooting” rang out like gunshots. 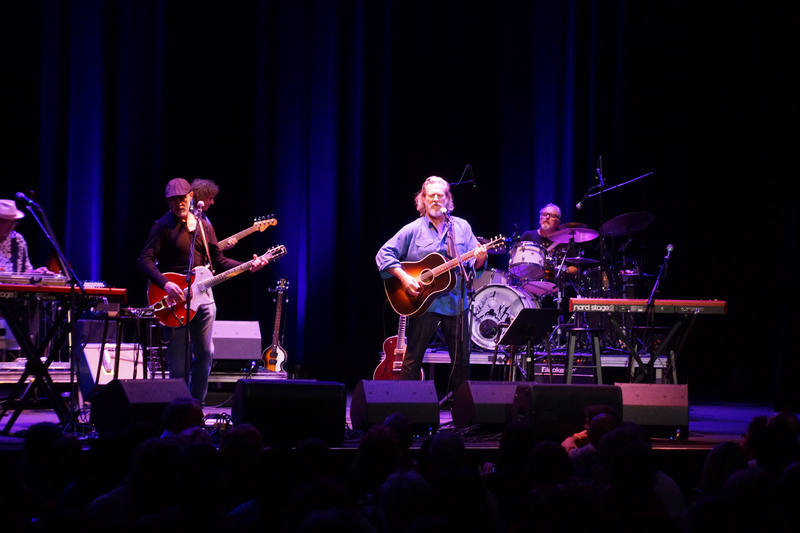 After a brief intermission, the band returned and laid the groundwork for a more mellow mood with the tracks “Wonderful”, “Welcome Home” and “Slow Slow Tune”. Just when you thought it couldn’t get any better, a figure emerged from the shadows. It was Bob Weir of the Grateful Dead looking like a sun-soaked Samuel Clements (or Mark Twain if you prefer). 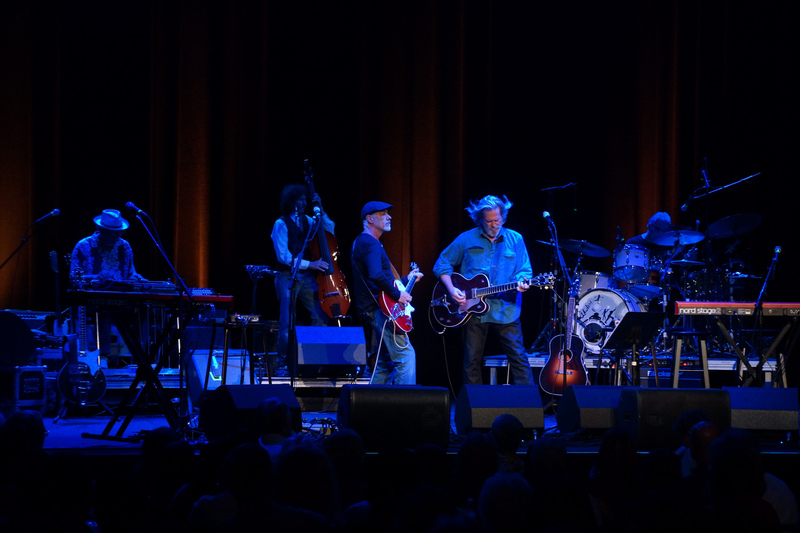 The band had met and performed with Weir on last year’s tour with Bob Dylan and began in suit with “Knocking on Heaven’s Door” before running through two classic Grateful Dead tunes, “I Know You Rider” and “Brown Eyed Women”. 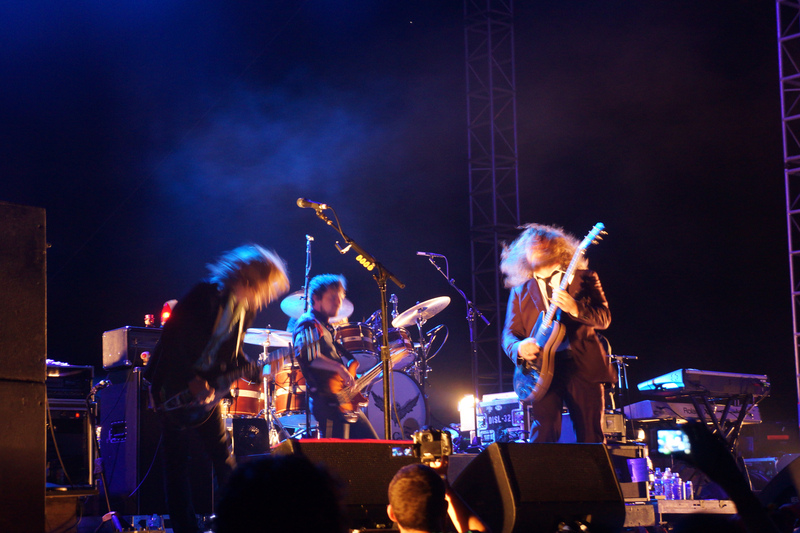 While My Morning Jacket refuses to understand their association with jam band culture, moments like these make it hard to ignore the connection. And I mean that in the best way. 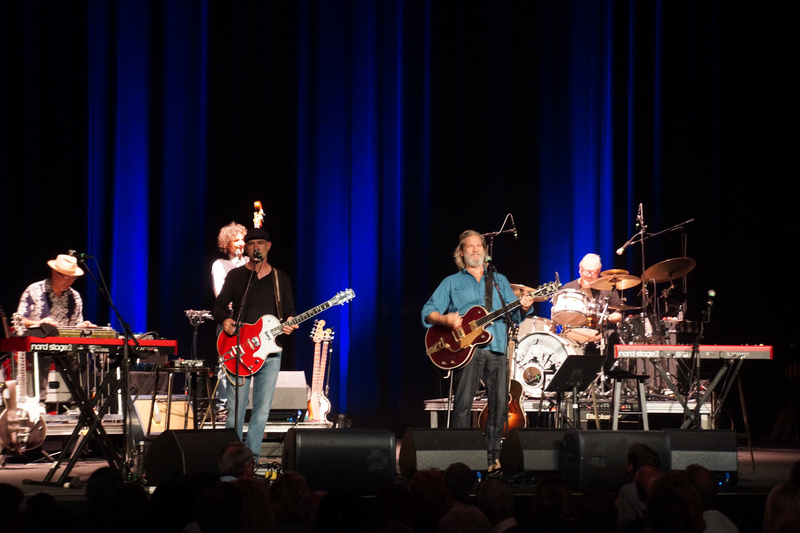 After bidding farewell to Mr. Weir, the band ventured into a truncated take on their 24-minute track “Cobra”, merging it with a crowd-pleasing rendition of Erykah Badu’s “Tyrone” and ending their 20-song performance with an especially fiery version of “Mahgeetah”. 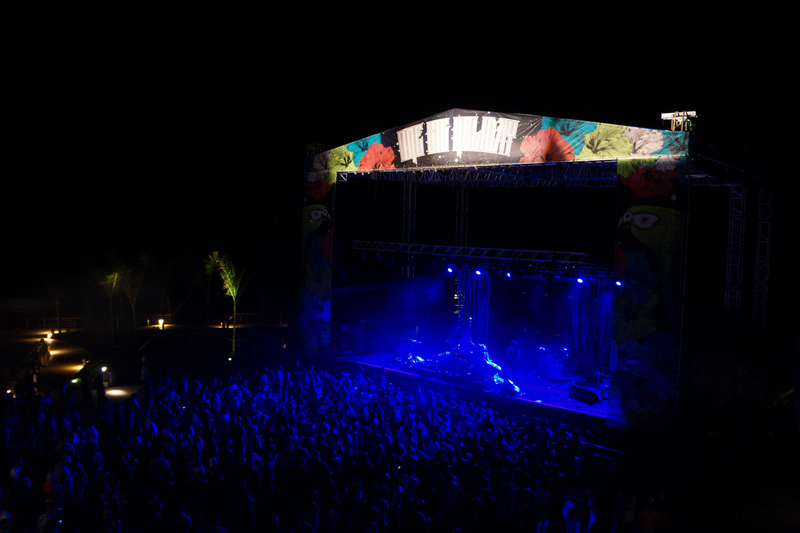 Excessive sun and open bars have been known to lead to arguments and general poor behavior, but this wasn’t your ordinary festival setting. Unlike most festivals, everyone was here for the same reason, to see a band that prides itself on peace and love and leads by example. It was Night Two and all was well. 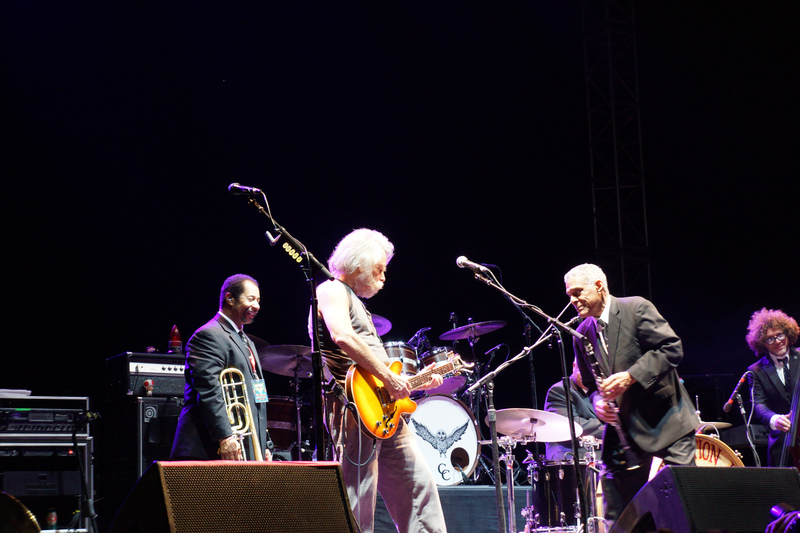 Opening tonight’s show was a show-sharing favorite of MMJ’s– the Preservation Hall Jazz Band. Performing as an 8-piece, the multi-generational New Orleans ensemble set the mood with a 15- minute ode to their fair city. With two tubas, a trumpet, trombone, clarinet, drums, keys and a saxophone, the band was dressed to the nines accessorizing with infectious smiles and an unmatched benevolence as they danced their way through their set and into everyone’s hearts. Ending an hour-long brass-wailing set, the PHJB brought out special guest Bob Weir who had played with the band years and years ago. Adding a guitar to the mix, they merged jazz and blues, and you could tell that the players were having as much fun as their audience. 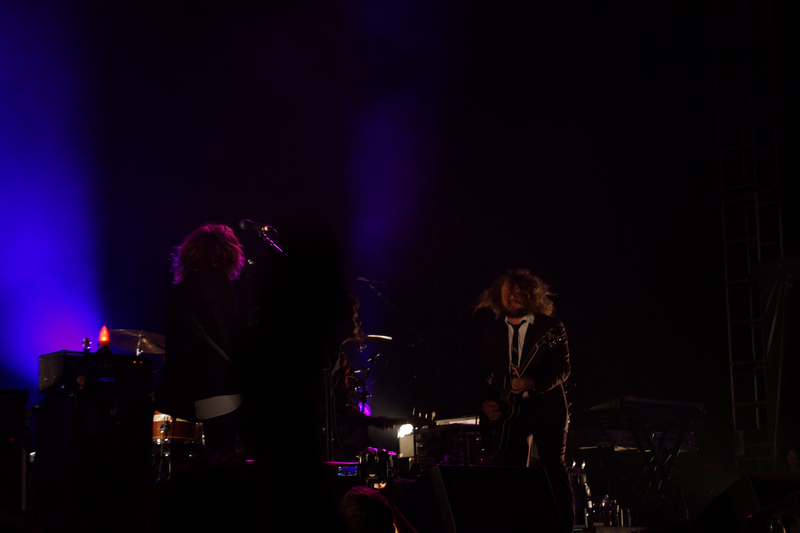 My Morning Jacket was next, and while the night before had been filled with epic surprises, there was no doubt in anyone’s mind that they could continue to blow the minds of the masses. A true treat for fans of the early records, the band began with “The Dark” and “Xmas Curtain”, “The Bear” and a special treat, a cover of Elton John’s “Rocket Man”. Unbeknown to some, “Rocket Man” was actually released as a teaser to their first record on a Little Darla Has A Treat For You compilation back in 1999. After the fun yet sinister, falsetto-fueled “Evil Urges” it was back to the old days again with “War Begun”, “I Will Sing to You” and the ever-evolving “Phone Went West”. Returning from a set break it was back in time with a devastating solo rendition of “Bermuda Highway”, “Old September Blues” and an extended version of “Picture of You”. Fans of classic MMJ covers were then treated to the Velvet Underground’s “Oh Sweet Nothing” which was best played at Neil Young’s benefit with an all star cast on the day Lou died. Tonight’s, however, was nothing short of amazing as most of the crowd knew the words and sang along. Bringing out their friends from Preservation Hall, MMJ continued with the creepy, mysterious “Holding On to Black Metal” and the robotic, disco-dance, omnichord-powered “Touch Me I’m Going to Scream”. If you thought you’d seen the last of Bob Weir, you were wrong. 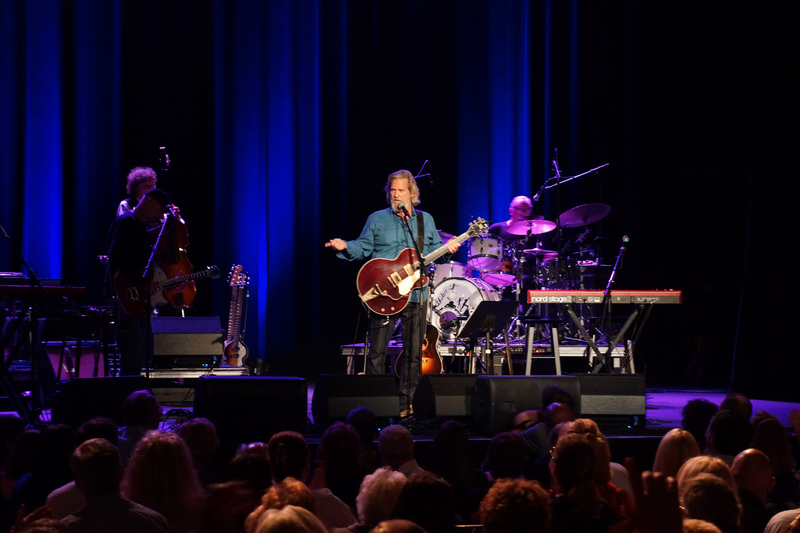 Still in town from his shows last week he came out one last time and began with a chilling version of the Beatles’ “Dear Prudence”. A true, true highlight, the song perfectly toed the line of evil and innocence. After Jim said that he’d been snorkeling with Bob earlier that morning Bob replied somewhat seriously, “Some of my best friends are fish.” Perhaps it was a pun. From here on it was party time again as PHJB, Weir and My Morning Jacket continued the covers with nods to Chuck Berry’s “Never Can Tell”, Al Johnson’s “Carnival Time” and Curtis Mayfield’s “Move On Up”. 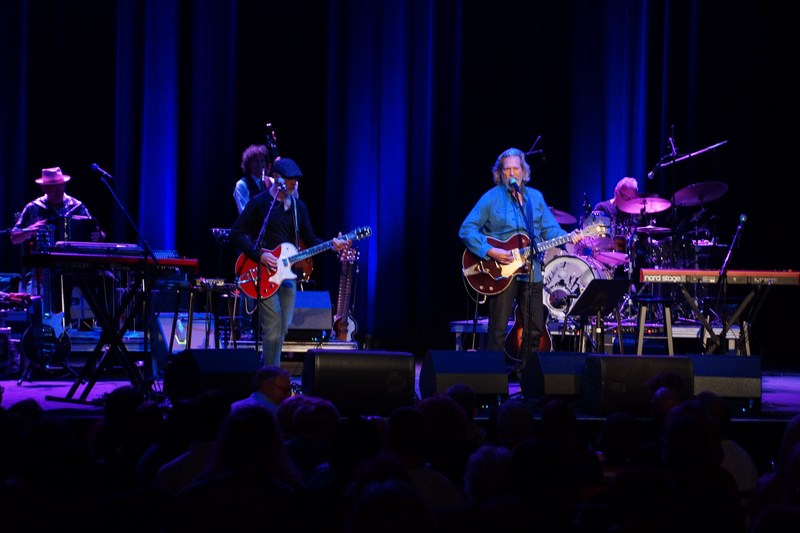 As the special guests left the stage, the Jacket ended Night Two with “Gideon” from the album Z. 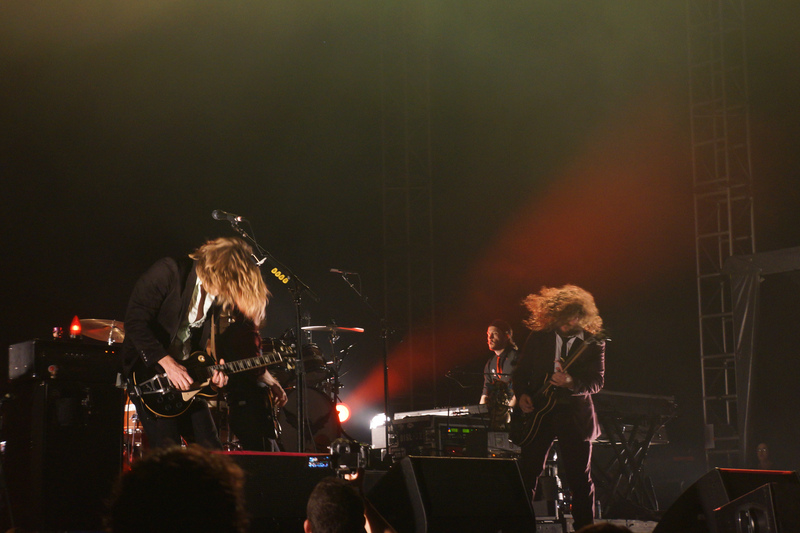 Night Three was an off day for My Morning Jacket, but they handpicked a wallop of entertainment. Mariachi El Bronx, a southbound detour and sideproject of the LA punk band, The Bronx got things started playing their first ever show in Mexico. 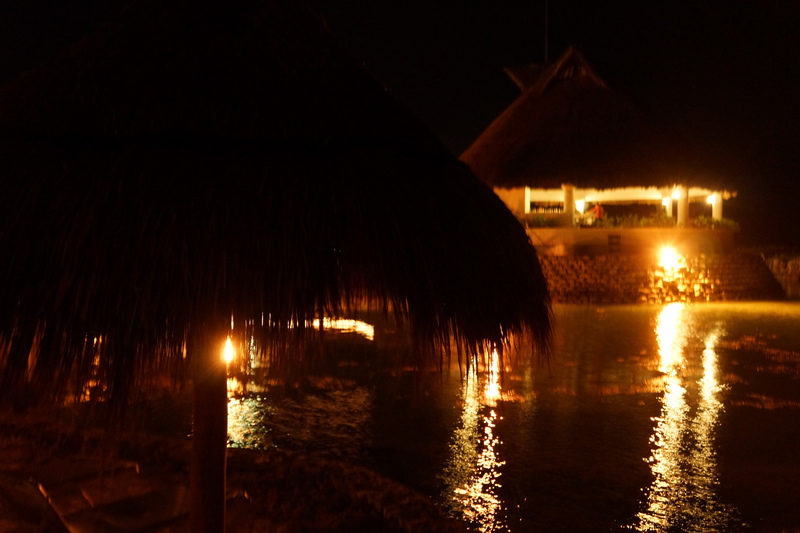 Singing primarily in English, the backing instrumentation was the perfect compliment to an evening in ole Mexico. The horns blasted in a triumphant fashion while the deep-bodied guitarron hit the lows as the violin hit the highs and got the night’s mood in full swing. 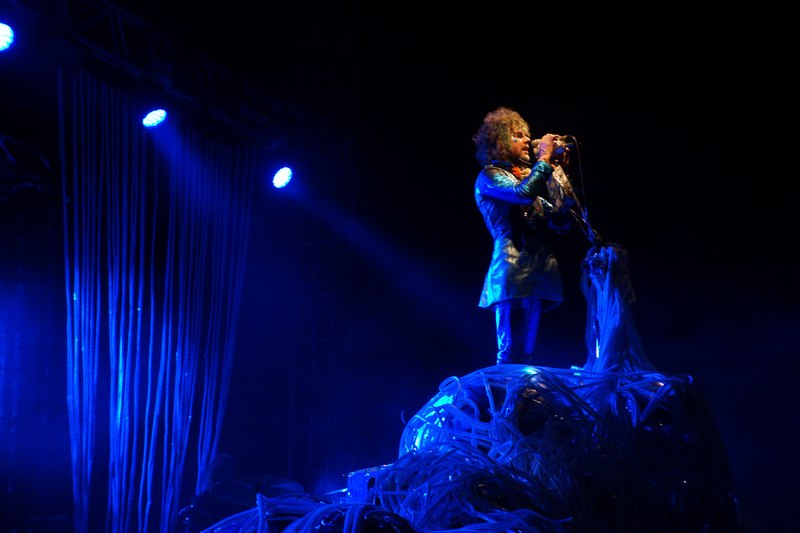 The Flaming Lips were up next and, as always, were a spectacle to be reckoned with. 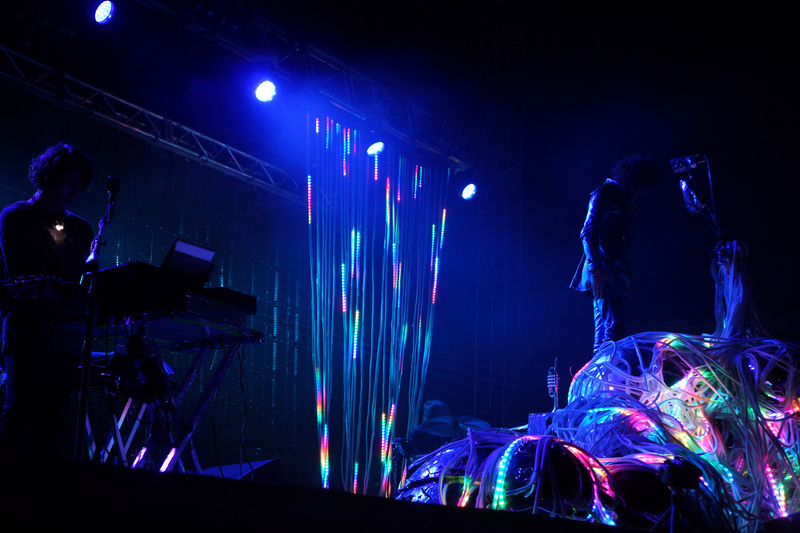 Changing gears from their confetti and crowd surfing in a plastic ball of positiviity, the band’s new stage presence has a lurking evil within it. The guitars were more piercing, the bass more bone-rattling, the visuals are more terrorizing, and yet the Lips still deliver that transcendent understanding. 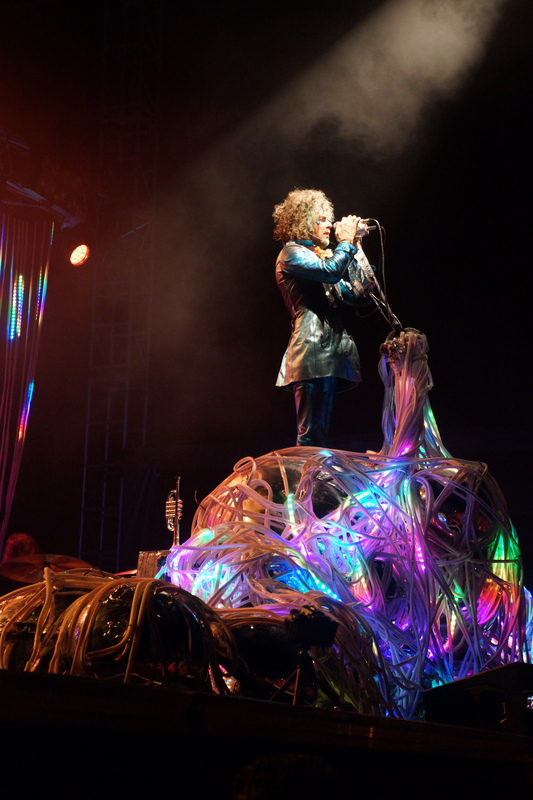 Flying the freak flag, Wayne took a jack-in-the-pulpit climb upon a mini-mountain with LED arteries flashing lights like rainbow blood flowing through the veins of the stage. Always gracious and constantly asking for the audience’s reassurance, Wayne dressed like an early spaceman, equipped with true Moon Boots and hair like a helmet. Merging new tracks with highlights from Soft Bulletin the band even dipped deep down rehashing “Unconsciously Screaming” from the vaults. The covers continued as Wayne dedicated David Bowie’s “Heroes” to Bob Weir. I’m sure Night Four must have been epic. 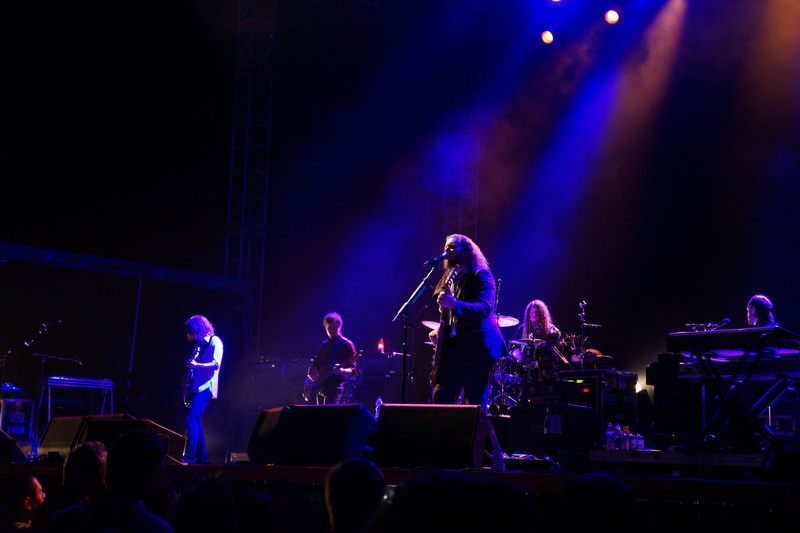 Three days in and My Morning Jacket had yet to repeat a song– a true testament to their versatility and longevity. There is no filler. It’s all part of the whole. 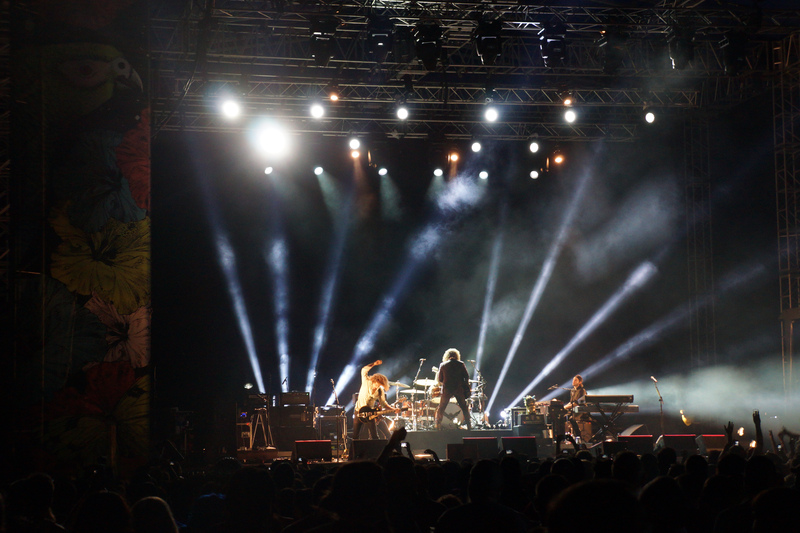 The total experience, from the friends to the fans, shows just how far the band has come. They’ve changed creatively and stylistically, never dismissing where they came from and never questioning where they’re headed. As for this reporter, I wouldn’t see the final day. I didn’t question where I was headed either. I was headed back to Boston and back to reality.